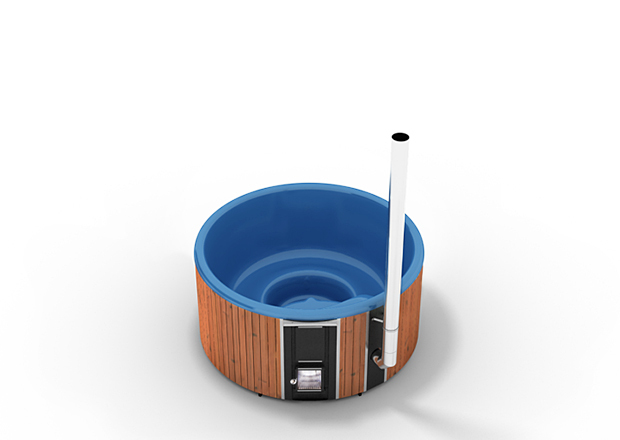 A premium wood-burning hot tub with an innovative integrated circulation stove. Low maintenance and superior comfort. 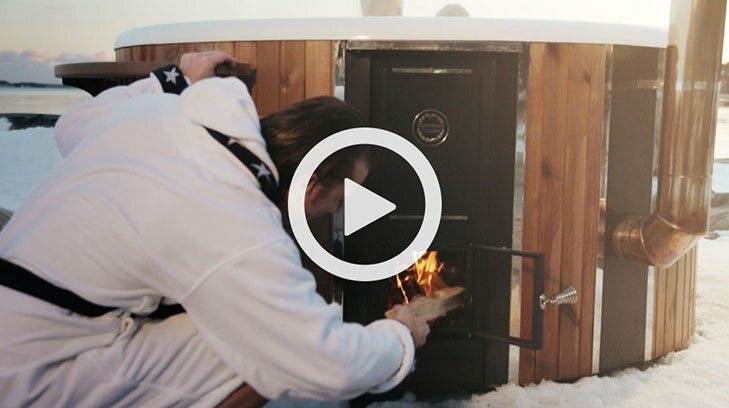 Owning a hot tub has never been so easy. 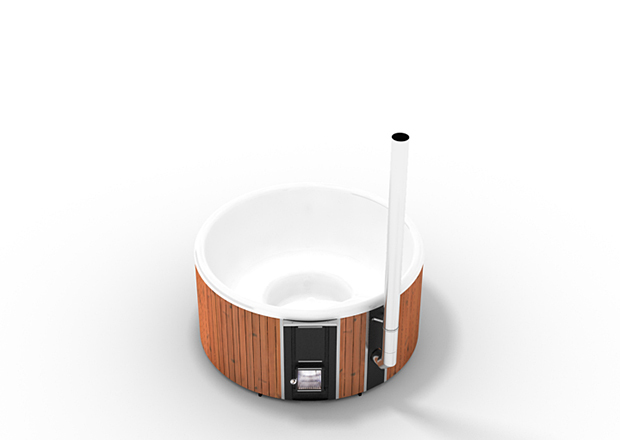 The fire in the wood-burning hot tub creates a vacuum effect causing the water to circulate naturally. 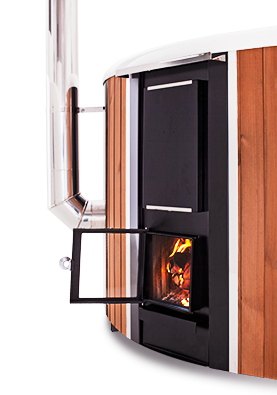 The stove is cleverly integrated in order to pull in all the cold water through a lower channel, heat it and redistribute it through a second, upper channel to achieve an even temperature. 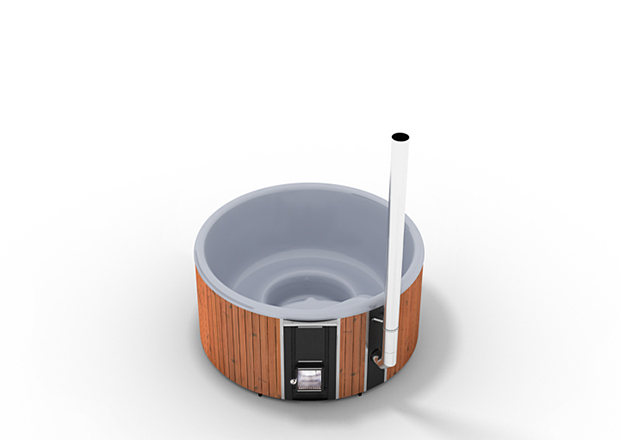 The Regal wood-burning hot tub has a corrugated stove as well as a secondary chamber to transfer heat from the smoke. 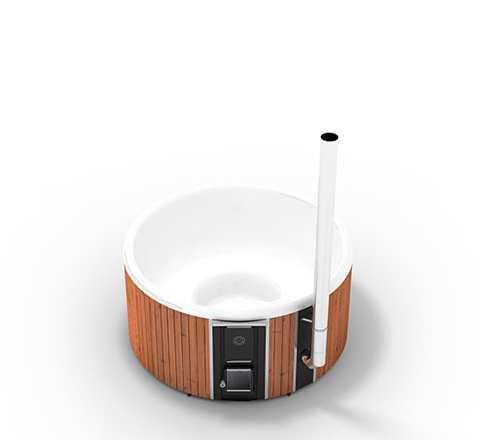 These help reduce wood consumption by 50% compared to traditional models. 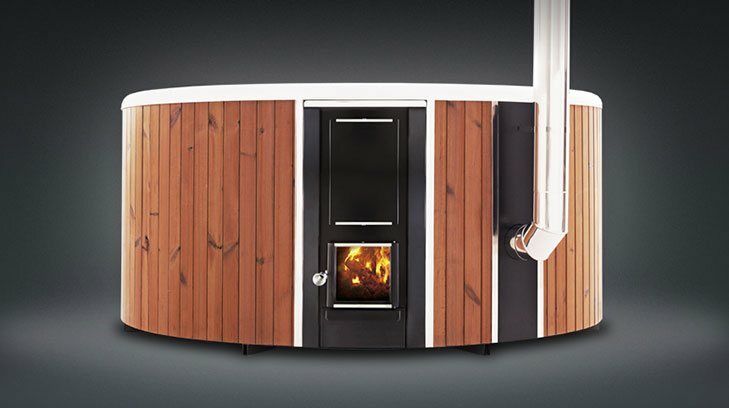 To maintain this efficiency, the stove self-cleans to prevent the build-up of tar. The integration of the stove between the wood cladding and the tub creates a pure, open bathing area that can fit in more people. 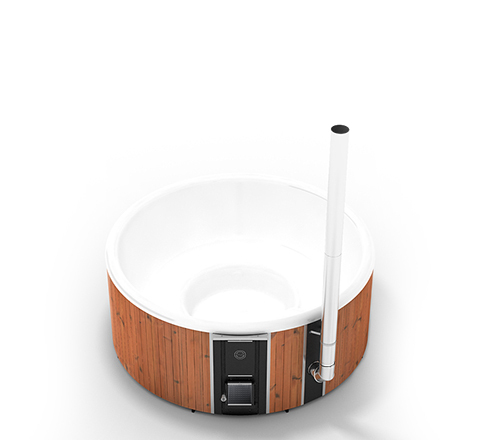 The ergonomic shapes guarantee optimal comfort for hours on end in your luxury hot tub. 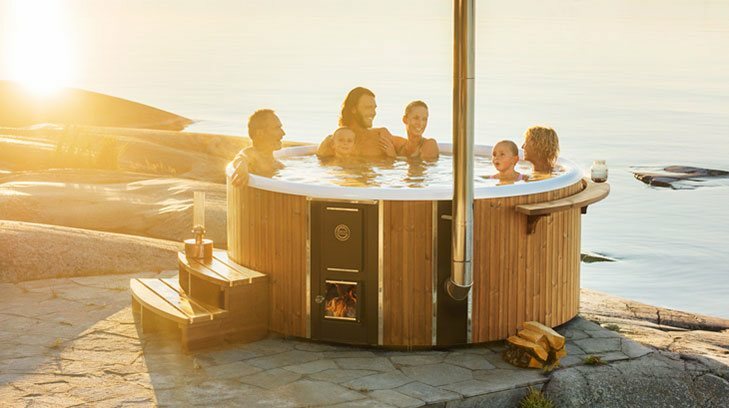 Skargards develops, produces and markets Swedish wood-burning hot tubs. Our factory is located on the coast of Vänern, Sweden's largest lake. 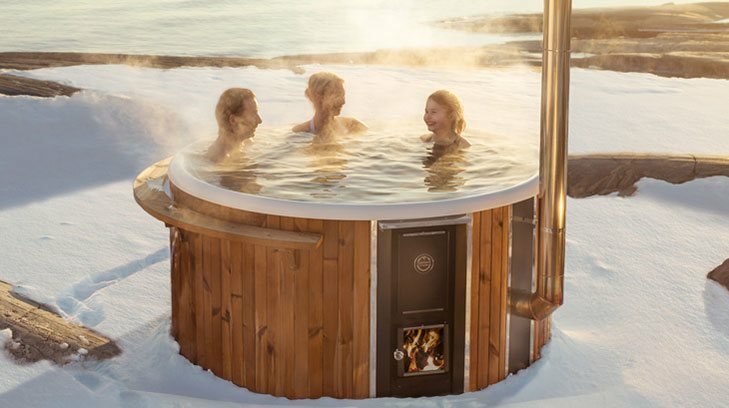 Skargards is one of Europe's biggest wood-burning hot tub producers. Our products are sold in 12 countries throughout northern Europe. 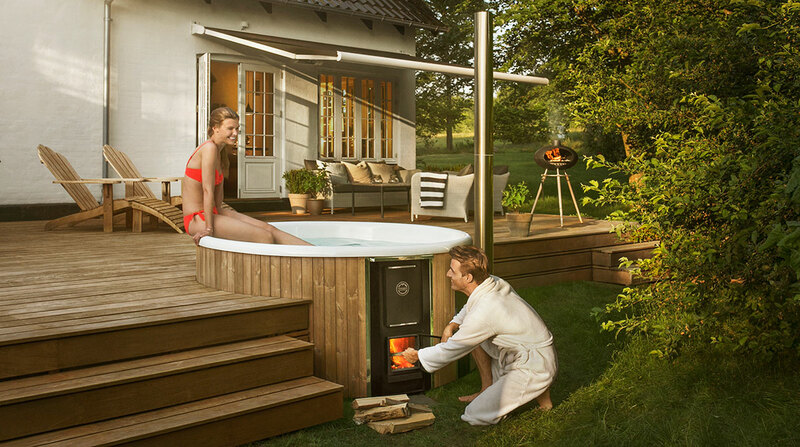 Receive your wood-burning hot tub from us exactly the way you imagined it. We build each and every hot tub as requested, then deliver it all the way to you – free of charge. 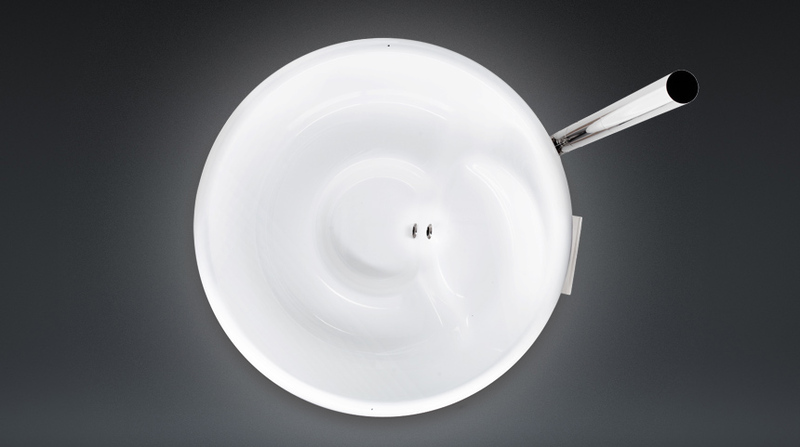 All the tubs are made of glass fibre reinforced plastic, a material also used for building boats. 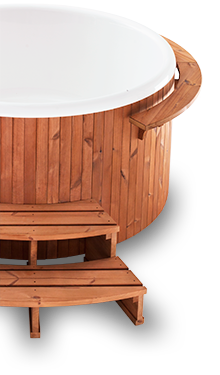 We choose exclusively eco-certified wood for our wood-burning hot tubs.